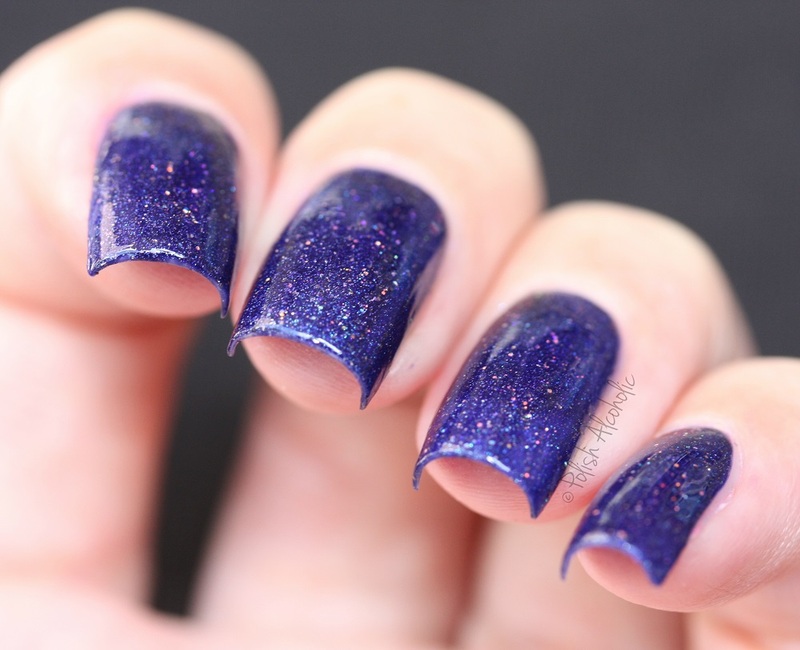 This is Moonlight Nocturne: So much sparkle in this gorgeous hue of blue. I sued three thin coats plus top coat here. Isn’t it pretty? This collection is now available at Hypnotic Polish. Keep in mind that it’s limited edition and they won’t be back once sold out. This entry was posted in Indie and tagged f.u.n lacquer, fun lacquer, fun lacquer moonlight nocturne, moonlight nocturne, review, swatch, swatches by Polish Alcoholic. Bookmark the permalink.